Free VPN: But What About Your Privacy? The saying ‘you get what you pay for’ often applies to online services. How does something like Free VPN fare in this respect? Not everyone looking into VPN services is ready to cough up the monthly fees. Free VPN providers promise anonymous surfing at a bargain, and could look the part to unsuspecting people. But look a little bit beyond the price, and the story gets a little more complicated. Online, free VPN services are hard to find, and that’s for a reason. Paid VPN services use your subscription fee not just to pay their groceries. Their server network needs continuous maintenance. This means encryption needs to be up-to-date and strong. But also relies on a multitude of servers in various (physical) locations, fast connections and the development of easy-to-use applications. A ‘free VPN’ means the provider has to somehow make up for these costs, or compromise on quality and safety standards. No provider is the same. But a ‘free VPN’ very probably means the company is in the business for different reasons than securing your safe and anonymous browsing. It may even use the bait of a free VPN to catch your online details. Eventually selling them off to third parties who use them in their advertisement efforts, giving you the reverse of what you bargained for: a lack of anonymity. Are free VPN apps insecure? Sharing your details with a company in order to use their free VPN service may seem a pretty harmless activity. But there could be serious repercussions. When your details are sold off to third parties, or are leaked because the company’s security isn’t up to par. Recent research into VPN providers shows how several providers are not handling in good faith. Mobile apps for free VPN services can seriously compromise your security. They access maps and functionalities in your smartphone they have no business browsing, or are used to install malware, causing serious hazards to the people who own the phones. The numbers the researchers came up with, are telling: 35 percent out of 283 free apps available in the Android store, hid malware. Digging further, the researchers found some of these apps didn’t use any form of encryption at all, opening up smart devices to further attacks. Which free VPN services are trustworthy? Luckily there are several VPN services that are free of charge and work without malicious intent. First off: most VPN providers offer a free trial run! Others offer a free service next to their paid subscriptions. Limiting things like internet speeds, your data count or number of servers you can access. Hide.me offers a free VPN service with a data cap of 2GB per month, allowing use of only three server locations (out of thirty). Tunnelbear is fairly popular, despite their data cap of 500MB per month. This cap can be raised by sending out tweets that advertise the service to your network. But you’ll have to subscribe to properly use the full service. Hotspot Shield is popular because it poses no limit to the amount of data you up- and download. Their free option is seriously s-l-o-o-w though, compared to regular (paid) VPN services. Users are also shown ads while browsing, something you want to avoid at all time. Ads unsuspectedly can cause security issues. Surfeasy offers an unlimited amount of servers to use, yet also caps your data use off at 500MB a month. Technically savvy internet users are advised to look into open source development. Openvpn and Softether both offer interesting ways to use VPN without spending money on subscriptions. The biggest drawback is you need to have proper skills and experience in internet technology to pull off this trick. Also you have to use an existing VPN service to log in. Or your own server in a different country than your computer is in. And you need to make sure it is safe. 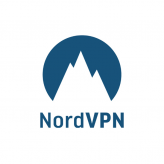 You can find more info on testing your VPN connection in our dedicated article on this matter. Last but not least: the Opera internet browser deserves a mention. This alternative to Internet Explorer, Firefox, and Chrome has an excellent, free VPN built into its browser service. This will only work for browsing (not for downloading Torrents). But it helps you to surf anonymously and access the browser version of various streaming services. Although ‘free’ and ‘secure’ and ‘anonymous’ can go hand in hand, we still advise to look out for the best paid options in the field. Monthly payments are relatively low, and give good value-for-money, considering what is at stake. For more info, we made a list of the best VPN providers that will charge you some money.